It’s no secret the Cult Classics and Cult Following crew are a big fan of Los Angeles’ annual Beyond Fest genre film festival. Held annually every year at the American Cinematheque at the Egyptian Theater , Beyond Fest is the non-profit festival brainchild of Death Waltz Records, American Cinematheque, Spectrefest, Meltdown Comics, Fantastic Fest and Shudder. 2016 stands to be the festival’s best year ever. With the LA premiere of Phantasm Remastered, the West Coast premiere of Phantasm Ravager, plus a 30th anniversary screening of Big Trouble in Little China with Kurt Russell live in person, and Fabio Frizzi and Wu Tang’s RZA BOTH doing a live film re-scores, this festival is the genre film event of the West Coast. Check out the full lineup after the jump! The Cult crew will be there catching many of these films and will let you know our thoughts on the festival! Beyond Fest, the highest attended genre film festival in the US, is excited to announce its full slate of 2016 programming featuring 27 events and 23 West Coast premieres of mind-bending movie madness. 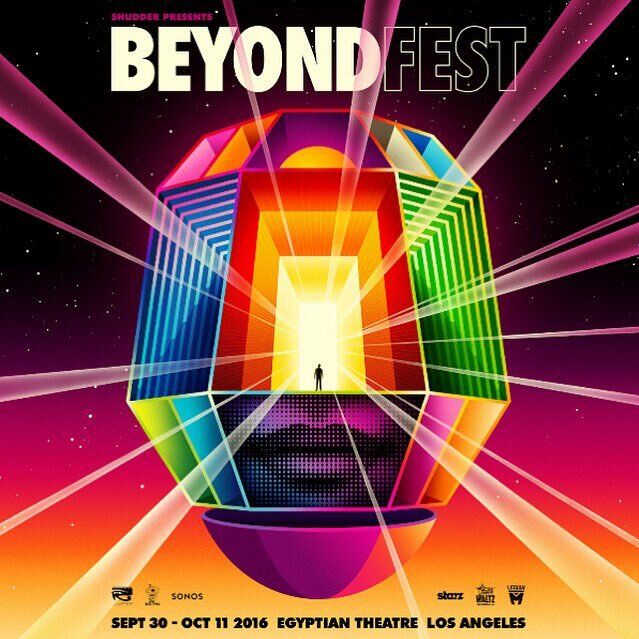 Presented by Shudder, Beyond Fest returns to Hollywood’s famed Egyptian Theatre for 12 days of movies, music and mayhem spanning Friday, September 30th – Tuesday, October 11th to generate funds for co-presenter, the nonprofit American Cinematheque. For the latest developments, visit the Beyond Fest official site www.beyondfest.com and follow us on Facebookand Twitter. We are now accepting press credential applications for Beyond Fest 2016. To apply, please send your name and outlet as well as a letter of assignment from your editor or a business card to Ted Geoghegan atTedGeoghegan@gmail.com for consideration. The deadline to apply for press credentials is Thursday, September 15th. Please note all applications are subject to approval.